If you are like us and want the finest picks out there, you might find that trekking to your local home and hardware store won’t yield the best results. The selection might be a little limited and the prices can often be inflated. 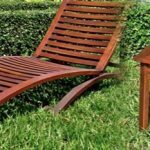 Indeed, one of the best way to shop around for something like a gazebo is by checking out the options online. Every now and then a gem or two can pop up that has exactly the right balance of style, features, quality, and price. That is what we have done and we’ve put together a list of truly excellent finds for your browsing pleasure. 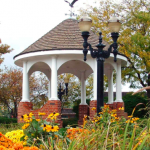 Here’s a quick and easy outline of what to consider when picking out your ideal gazebo. Let’s begin! The first thing to figure out is how big you want the gazebo to be. 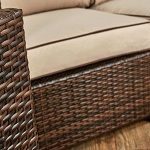 Of course, you want it to be large enough to comfortably host all of the furniture and seating you want to set up, as well as a decent number of people for when you’re entertaining. However, you don’t want it to be too large because it quickly ends up feeling empty and incomplete. The most popular size to go with is 10 by 10 feet, but as we will see further down, there are several other popular variations such as 10 by 12, 12 by 12, 12 by 14, and even 12 by 16. Next up is colour and design. The thing to keep in mind is that a gazebo will probably be one of the largest things in your backyard. 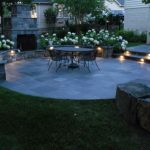 Because of that, the design is that much more important because a focal point this large can make or break the feel and style of your backyard. A stylish, well finished gazebo that matches your overall ensemble will dazzle and soothe both you and your guests, however should it be a mismatch, it quickly becomes an eyesore that is sure to throw off any vibe. As a rule of thumb, always consider what will be going under as well as around the gazebo when making the purchase. Think about what is in your yard and definitely take a moment to visualize how it will play into your current setup. A safe bet will always be the aluminum hardtop variety, as the neutral design fits in with most decors and it can also be dyed in a variety of colours to suit one’s needs. Nevertheless, that doesn’t mean you need to only stick with that. In fact, do read on for some particularly stylish and versatile choices that are sure to impress. You’ll want to consider what you are going to be using it for at the end of the day. Are you looking to have guests over and be an entertainer extraordinaire? Or are you just excited to get some barbecuing done and sit down with your family? Possibly even just recline and lounge by yourself? 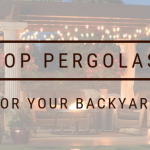 Regardless of your needs, there is a gazebo for every backyard enthusiast. However, you do need to take the time to think about what it will be used for and what you want to put inside it. In terms of pricing, the budget-friendly gazebos will start off at $500 or $600, however, we find they often sacrifice in terms of quality and style. Luckily, though, the gazebos that truly up the ante in terms of design and quality of build are not too far off. With just a bit of a stretch to the $800 range, the gazebos at $800 and above are not too much more of an investment but are definitely game changers as far as customer satisfaction is concerned. Definitely worth the small extra investment in our opinion! And off course, if you care to go full out, there are plenty of thrilling options at the $1000 mark and even at $1500 and above. It’s always good to consider some of the ever useful side-features that gazebos might have. While simple and straightforward models can be great, it’s definitely worth your time to take a look at gazebos that sport mosquito nets and/or roof venting. Roof venting is particularly important because the shape and some of the materials used in making gazebos make it so that it can quickly become an unintentional greenhouse. This can be troublesome if you’re trying to relax during the day, or even hide away from the sun, and the gazebo is overwhelmingly hot. Roof venting allows for the hot air to escape from inside and circulate better so that you can get the full benefit of the shade to stay nice and cool. During the night, however, it’s always best to have some kind of mosquito repelling measures in place. While there are plenty of options for the above, there isn’t anything quite as handy as a gazebo with a built in mosquito net. Indeed, it’s very simple and very effective to just have a protective net surround you and the company you’re having over so that you will never have to think twice about winged nuisances buzzing about. Finally, just like with any household purchase, you will need to check out the warranty on the gazebo you’re getting. Always make sure the manufacturer backs up your gazebo with a warranty, and while it might be a bit of an extra expense, getting an extended warranty on some of the pricier ones is always a good idea. Nevertheless, let us not delay any further and check out the rockstar lineups we have prepared. Here is our review of the 7 best hardtop gazebos as well as our review of the 10 best canopy gazebos.